It was Mish Delish and her tweet who inspired me to whip up the good ol’ can of sweetened condensed milk recently and make dulce de leche. To balance the sweetness of the resulting caramel, I have decided to add a dark chocolate layer to the dessert. And to make things even more interesting, a good hint of chilli completed the delicious ensemble of this ‘sometimes only food’ tart. My last recollection of canned milk dulce de leche consists of a big bang, and a caramel drenched kitchen. Stove, celiling, cupboards and every other possible nook and cranny the sticky deliciousness could get into. Despite a thorough wipe down, I was finding caramel in some of the most hidden places for days, weeks even, after the explosion! And we had to repaint the ceiling. Mind you this was my somehwat forgetful flatmate Tony cooking, so this sort of an accident should have been obvious. Luckily, no one was in the kitchen at the time, otherwise the scars would have been more than emotional. I hope I haven’t scared you off making dulche de leche? It’s totally worth it, and unless you fall asleep and let the water get too low, you will be fine. PS You might have noticed the lack of specific recipes in my Cooking Now / Coming Soon section… This is because during the month of October I have been invited to take part in a 30-day Royal Selangor Get Your Jelly On challenge along with 9 other bloggers worldwide. This will include daily posts featuring the gorgoues Nick Munro designed jelly mould and focus on raising breast cancer awareness during the Pink Ribbon month. 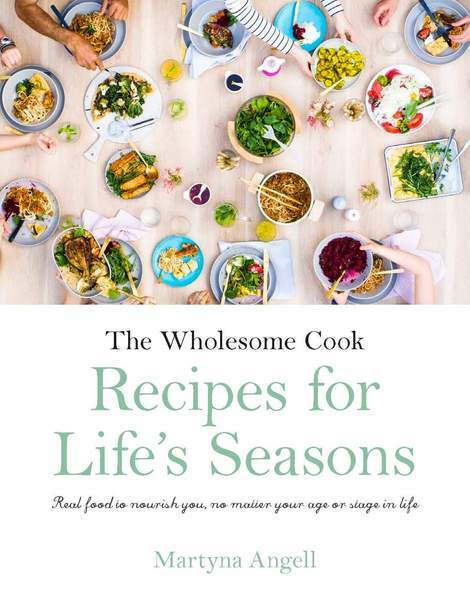 To celebrate, Wholesome Cook will be turning pink and host a number of exciting giveaways and features. Olympus camera giveaway Each comment on the Royal Selangor Get Your Jelly On challenge posts on my blog is your entry to win an Olympus VG-110 camera. Giveaway is open worldwide! Entries close October 30, midnight AEST. Winner will be announced on the blog on October 31. The key to a succesful dulce de leche from a can is low, steady heat and a water level high enough to ensure the can is completely immersed at all times. I used Nestle’s 395g can of Sweetened Condensed Milk. You will also need: 2 (9cm) loose bottom tart tins + pie weights or dried peas. To make dulce de leche in a can: place the unopenned can in a large saucepan filled with cold water so that the can is completely immersed. Bring to a gentle simmer, then lower the heat immedieately to just under a simmer (a few air bubbles coming off the bottom of the pan are fine). Cook for 3 hours, checking every 20 minutes and topping up with water as necessary. Once ready, remove from the saucepan and allow to cool for about 1 hour before opening. To prepare the pastry: spray tart tins with some oil spray and thaw pastry sheet. Cut pastry sheet in half on the diagonal, and place loosely over the tins. Press into sides and discard on overhanging edges by pressing your hand down around the edge of the tin. Prick base with a fork and fill pastry with pie weights or dried peas. Blind bake in the preheated oven for 10-12 minutes or until the pastry is golden brown. Remove from the oven and cool on a wire rack. Remove pie weights. To make chilli chocolate: chop chilli (with half the seeds if you like more heat). Mash up in a microwave safe bowl with a pestle to release the juice. Discard of the chilli bits, leaving juice in the bowl. Break chocolate into squares and place into the chilli juice bowl. Microwave on high for 20 seconds, mix and go again if all the chocolate hasn’t melted. Mix well. To assemble: spoon dulce de leche into the pie cases, leaving a little margin for the chocolate, and spread evenly. Top with melted chilli chocolate and spread to cover. Refrigerate for 20 minutes or until the chocolate is set. Serve chilled or at room temperature. The tarts can be made 48 hours in advance. (CLOSED) Scones with a very special jam, double cream + a giveaway! Woo! that looks pretty sweet. I think I’d just eat the dark chocolate layer. Looking forward to your jelly mould creations! Thanks and likewise. On the sweet note, it’s actually not too sweet to the taste – even I say this! Yum, only lately have I been able to eat chilli (slowly training myself), and I’ve discovered a love of chilli chocolate. Add dulche de leche and you have something I REALLY want to try making. Also, I love your forks! Thanks! I picked a set of 6 (Queensland towns) from the Salvos store 🙂 And the tart is yum. I have not tried to make spicy chocolate. This may be a first for me to try. It looks so yummy. Thanks for being specific about watching the milk…Three hours! Sounds like a Sunday afternoon treat! Good luck with you awareness campaign. I will observe to get tips for my own sometime. The breast cancer awareness thing sounds fantastic, the more awareness the better! My mum died of breast cancer so it has a special place in my heart. These tarts look SO delicious, love, love the addition of chilli. oh dears at explodey dulce de leche! but yum your tart looks fabulous! Three words OMG. But wait, that was just one word wasn’t it? That looks absolutely sinful Martyna! I think you have chosen the perfect adjective (sinful), but thanks! What can I say… yum!!!! I love DDL. I make it every now and then using milk and sugar, never tried using condensed milk. That explosion does not sound good – there must have been a lot of pressure for a can to explode. Good no one was around. I love how few ingredients this calls for. I’ve never done the condensed milk trick and really should. This looks really rich and great. Thanks guys 🙂 I woke up this morning to 83 emails, I knew something was up. And it was my post! This is the second dulce de leche recipe I’ve seen in two days and now I have an intense craving for the taste. Great looking recipe! The combination of dulce de leche and dark chocolate is irresistible. Dulce de leche is one of the rare extremely sweet things I adore. I usually add some salt to the dulce de leche, but chili sounds like an equally (or probably more) interesting ingredient. I love your recipe and risk making it quite soon. It’s funny because this is exactly the way I make dulce de leche. I am always a bit scared, but nothing has happened until now…. I put really lots of water because as a serial pan burner I have tendency to forget the things on the stove. Salt is nice too. The label actually said not to cook in the can, but I think they do it as a general precaution because it does need to cook for so long and be covered in water. And yes, I had a couple of run to the kitchen as quickly as I could moments to top up the water… Just best to set the timer for 20 mins every top up. Thanks for the mention lovely. I’m always getting inspired by what others are cooking and talking about on Twitter, so it’s nice to be the inspirer. What a good looking tart! I love chocolate and chilli together it’s a match made in heaven. I love ‘5 ingredient’ recipes and this looks indulgent and gooey good! Great post and congratulations on being Freshly Pressed! This looks amazingingly sinful! I must try it! Thanks for sharing and congrats on being “Freshly Pressed”! I’ve gained 5 pounds just reading this post. Chili and dark chocolate get my vote. These look so perfect …. sigh …but the calories !! Sweet Christ that looks delicious. Thanks. Now I must feed. Seriously, these look *amazing. * And congrats on FP! Oh my gosh — I think this combines everything I love in a dessert, sweet, over-the-top decadent, and a little spicy, too. What a great idea! Have you ever tried quesillo? you can make it with condensed milk! this is the second boil-the-can dulce de leche recipe I’ve seen this week. it looks so delicious and easy. now I have to try it! This looks so good, I will for sure try this out, love small list ingredient foods. So going to try this!! Goes perfectly with breast cancer awareness…another reason to keep on living. Nicely done! One word here to respond to your dulce de leche and chilli chocolate tart – YUMMMY!! I cannot wait to try this!!!!!!!!!!! I have to admit,I remain a little wary of trying to heat the can of condensed milk to make dulce de leche. The combination of flavors seems pretty close to brilliant tho! P.S. Fudge wtih chili is delightful! Many years ago, a lifeguard at Seapoint beach in Dublin, Ireland blew up a Fray Bentos steak and kidney pie by trying to heat it on a portable gas ring. Probably the best thing one could do with such an abomination. I remember bits of it stuck to the ceiling of the lifeguard hut for months after. Wow these look so delicious!! 5 ingredient recipes are a wonderful way to avoid jumbling up a good thing! I love simpler recipes–you can really palette each and every ingredient with each and every bite, which makes for a much richer tasting experience! Can’t wait to try this. & Thanks for the Cancer plug, I need to do that! This looks delicious. I am eating cooking and wishing I was eating a slice of this instead. Oh my goodness god of deliciousness. This looks fabulous! Everything about this blog is just beautiful! Can’t wait to try this, combining two of my favorite flavors (dulce de leche and chili chocolate). Will be following you here and on twitter, which I just joined. Lovely blog. oh. my. god. I gave up sugar for a 30 day detox kinda thing. i visited your blog searching for a new recipe, then i realized that was a bad idea. my mouth is watering and tears are welling up because i can’t actually attempt this recipe for another 28 days. however, when my 28 days are up, this will be my first creation 🙂 thanks! Awesome silverware! And holy cow that looks divine. Congrats on being Freshly Pressed :). Well earned! Man, that looks delicious. It seems like I gain weight just looking at sweets like this. Thanks. That looks exquisite! Can I ask what Chilli you used? Cup of tea with this and you’re rockin’! Just viewing this post is adding pounds to my hips. Yum! OMG, that pie looks amazingly delicious! Wow, what a treat for these cooler months! Gotta have that condensed milk lol….yum yum YUM!!! To melt the chocolate without a microwave, place it into a stainless steel bowl that will fit snugly over a saucepan filled with a little water (like a lid). Place the contraption over Medium heat and allow the heat to melt the chocolate, stirring occasionally. And only 5 ingredients! I will definitely be trying this! Congratulations on being a featured blog! I absolutely have to make this. Thanks! This is beautiful! I will definitely be making the chilli chocolate. I love that you used a fresh chilli pepper! Just lovely. gorgeous dish and stunning photography! Now that looks wonderful. I love the simplicity of it, and the photos are stunning, too. Well done! Wow beautiful pictures, makes me wanna start baking at 1 a.m! O my this looks amazing! mmmm…. THANK YOU also to those of you who liked the post and, of course those of you who have subscribed. I hope my musings and recipes will entertain you and help you create some yummy dishes at home. Don’t forget to CHECK OUT my Royal Selangor Get Your Jelly On challenge posts for some great GIVEAWAYS and featured charities during breast cancer awareness month. Oh my goodness. This looks mouth-watering and yummy. That looks DELICIOUS! 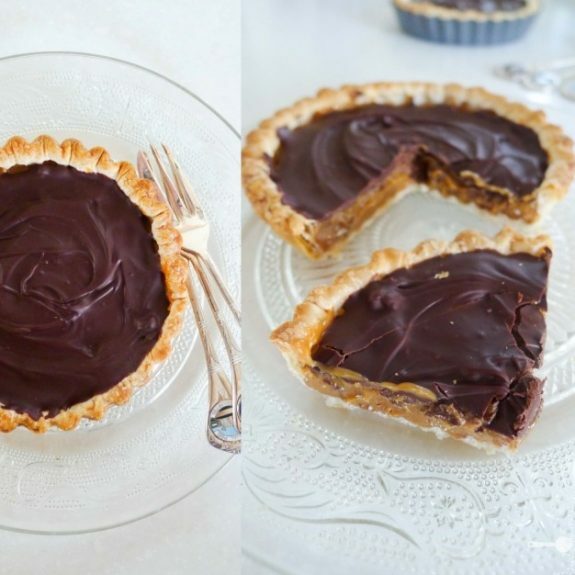 I just love the look of the chocolate on the tarts. What does the chili do to the flavor? I’ve never tried it with chocolate before. I will defiantly try to make this in the near future. Good job! This is great! I am unable to bake – no matter what it is I manage to make it a tragedy. I’m going to try this though! Wow – this looks deliciously indulgent, must try making it…thanks! Hello, thanks for mentioning your name for the dessert! Torta bombon sounds very good! Sounds like a great treat. I will be trying it very soon. Thank you, keep up the good work and God bless. Chilli in a pudding, it gets my vote. I’m going to have to try this one – after a long run, so I can justify eating it ;o). Thanks for sharing it with us. so delicious! i remember eating this in France and wondering how they made such a delicious treat. Now I can make it for myself here in Australia. Thanks!! This looks amazing — good hand with the puff pastry: it won’t look like that if I do it, but I think I can keep the caramel can from exploding. this looks delicious!!!! great idea! So simple, and I love a little spice in my chocolate! I’ve never seen DIY dulce de leche like this before. So simple, yet impressive! Just bought an 80% dark chocolate bar yesterday and I have a can of sweetened condensed in the pantry. It’s the Canadian Thanksgiving this weekend and I’m definitely scrapping that whole “pumpkin pie” idea now! Happy Thanksgiving! I’ve not used 80% chocolate before so you might just have to test how it melts and sets… Good luck and enjoy! This looks decadently delicious. Who would have thought it only had five ingredients. Are there any alternatives to the 3 hour stovetop process? Thanks! My mouth is watering…. Chilli and chocolate sounds like a really yummy combination! i followed your recipe. it was delish! Wow, that looks amazing. I’ve always liked a bit of spice in my chocolate. Wow. Gorgeous site… beautiful photos and layout. Keep up the good work! And you must tell me how you got so many comments so soon! Love your photography! Love your blog! I need this in my life. Thanks for sharing! Thanks Heidi, good to see you back! Why, oh why do I have to find posts like this? I can eat sweetened condensed straight out of the can (and I did a little bit of that yesterday, making a choc. sheet cake & frosting recipe that used a can). But then you caramelize it, and it becomes definitely irresistible. Now you’ve gone and put dark chocolate on top, and a puff pastry on the bottom and a chili to give it kick. I don’t need this kind of temptation! I make arequipe (that;s what Colombians call dulce de leche) in a can too. I have never had an explosion…growing up I heard one of my aunts did and her story is as funny as yours 🙂 I am curious, how does the chili pepper taste with it? I’m going to try this great looking recipe without the chili. It’s great with the chilli, makes it more interesting with just a touch of heat at the end. I love the idea of chocolate on top! Oh, my a dulce de leche explossion? This tart looks fantastic! Thanks so much for linking this recipe up in the Holiday Recipe Exchange. Ahhh, this looks amazing! I love homemade dulce de leche! This looks AMAZING!! I love spicy/Mexican style chocolate and dulce de leche is a perfect compliment to the peppery bite! Add a buttery crust? I’m so in!